Hello! I’m Debi, the girl behind Life Currents, where I blog about tasty food that’s mostly vegetarian, though I share my meat eating husband’s creations. I include some of our fun projects around the house as well. Mostly, I believe that good things happen around the table, and in life, just be sure to be open to seeing all that surrounds you. I invite you to join me as I celebrate my love of life, and my love of food with recipes and stories. I’m excited to be guest hosting on Moore or Less Cooking Blog! 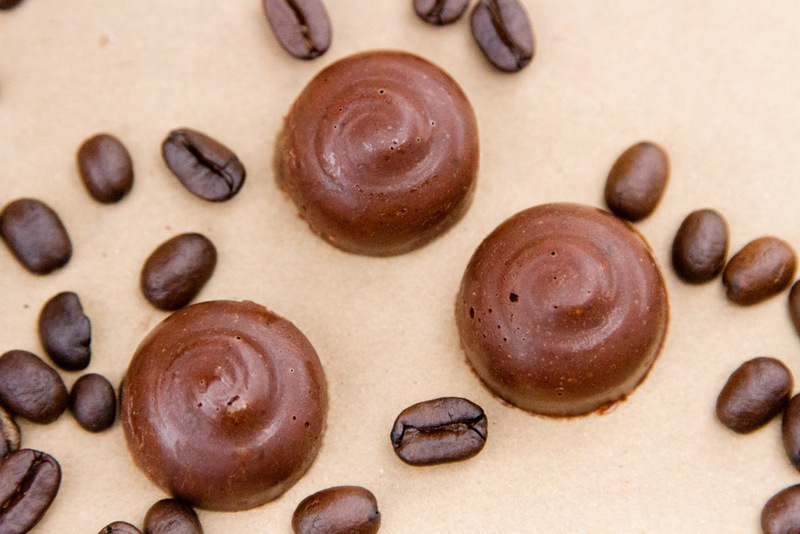 I know how Nettie loves chocolate and coffee, so I thought I’d share my Salted Caramel Coffee Truffles with her. They’re so easy to make that you can whip them up and take them to you friends. They’ll think you spent forever in the kitchen making something special! Place chocolate in a microwave-safe medium bowl. Melt chocolate in the microwave on medium-high for in 30-second increments, stirring between each. Once chocolate is melted, stir in ground coffee, caramel, and coconut oil. Carefully spoon into small candy molds. Tap mold on a solid surface like a counter top a few times to release the air bubbles from the truffles. Place in fridge until solid and firmed. If you don’t have a candy mold, these may be done with a scoop or a spoon. Scoop or spoon out a small amount and place the truffle onto a Silpat or a parchment paper lined cookie sheet. 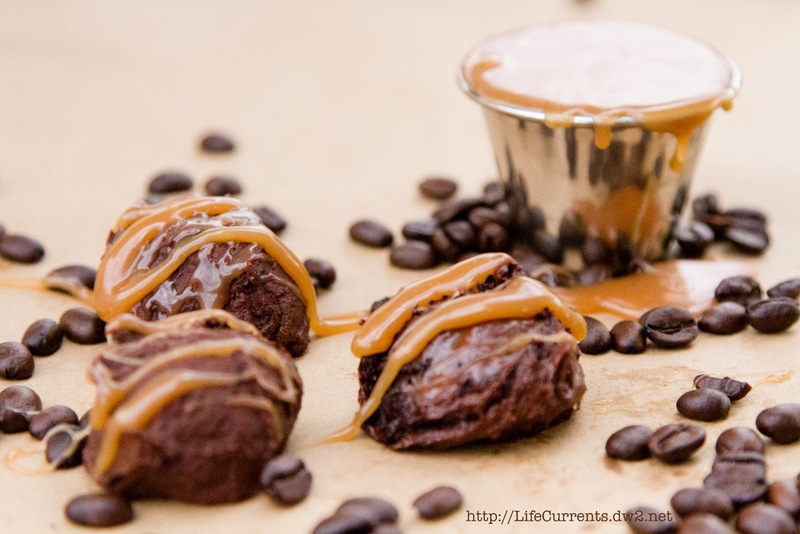 Drizzle a small amount of salted caramel sauce over each truffle for serving, if desired. You could even sprinkle some salt over the top for serving. This post has been linked up to these amazing blogs!